Getting to know and understand furnace terminology and working your way through the maze of choices can be a challenge. However, two terms that you need to know about before you venture off to furnace dealers are "condensing" and "non-condensing." Once you know how they work and how they are different, you will be equipped to go to a furnace dealer with confidence so you can focus on the type of furnace you need to keep your home warm and comfortable. Condensing furnaces have efficiency ratings as high as 97. 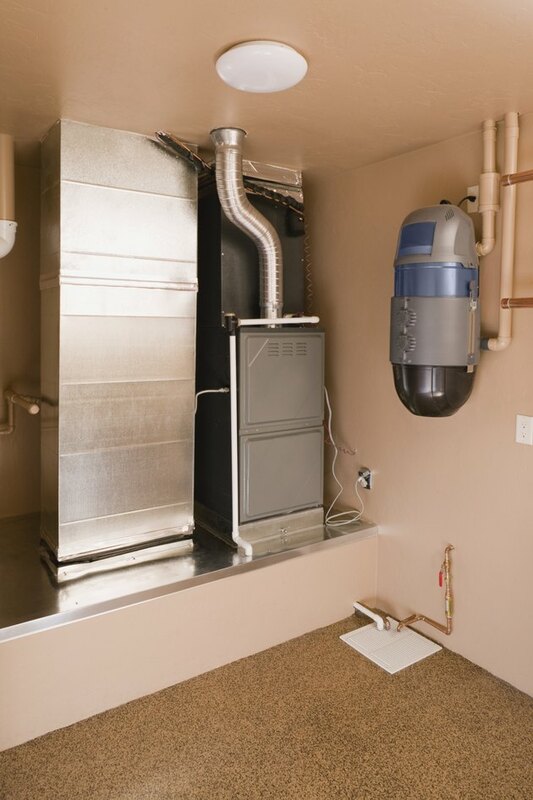 A condensing furnace maximizes as much available energy as possible to convert it into heat. Instead of wasting moisture and exhaust gases that drain through pipes to the outdoors where they would evaporate, a condensing furnace essentially recycles these resources into usable energy to heat your home. Once a condensing furnace has converted all of its energy into heat indoors, a fan vents moisture and gases outdoors through a PVC pipe. The condensation is then recycled back through the furnace system to convert the gas and moisture into heat. A non-condensing furnace does not convert energy byproducts (moisture and gases) into heat. Once a non-condensing furnace disburses heat, the residual moisture and gases are vented outdoors. The residual moisture drains from the pipes that exhaust outdoors and into the ground, and the residual gases dissipate into the atmosphere. Condensing and non-condensing furnaces do what they are designed to do: heat homes. Both are fueled by natural gas or liquid propane and convert the gases into heat. Neither type can be fueled by electricity or oil. In general, both condensing and non-condensing furnaces are among the most energy efficient, in that they offer furnace model choices with high Annual Fuel Utilization Efficiency (AFUE) ratings. This is the rating designated by the Federal Trade Commission (FTC) and the U.S. Department of Energy (DOE). The minimum allowed AFUE rating is 78. All condensing and non-condensing furnaces have a rating of 80 or higher. Meeting the minimum AFUE rating is what makes condensing and non-condensing furnaces similar. What makes them different is how they go beyond the minimum requirements. Non-condensing furnaces usually stop at a rating of 90 or 92 percent, while ratings for condensing furnaces typically begin at 92 and go as high as 97, which is the highest rating of all furnaces on the residential market. This means that a condensing furnace will convert as much of 97 percent of its available energy into heat, while a top-of-the-line non-condensing furnace with an AFUE rating of 90 will effectively lose (or waste) 10 percent of its energy. To get the benefits of maximized energy efficiency -- you have to pay for it. Condensing furnaces are the priciest residential furnaces of all. 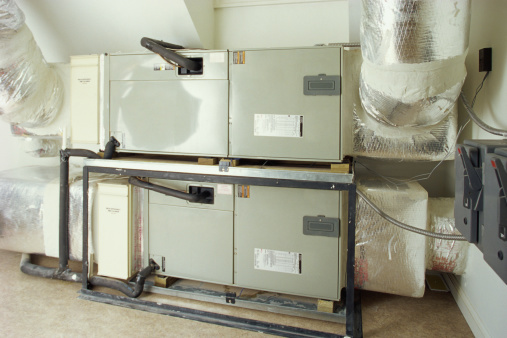 Prices for a 100,000 BTU condensing furnace typically start around $2,200 (as of August 2011). Prices for a 100,000 BTU non-condensing furnace start at around $1,500. Despite the 30 percent cost differential, the investment in a condensing furnace will pay off in long-term savings. According to the U.S. Department of Energy, the investment in a high-efficiency condensing furnace can result in a minimum savings of $2,700 over the life of furnace -- which is enough to pay for the cost of the furnace.